Our work is international-quality, but we've got a soft spot for our local clients. Your passion is your business. 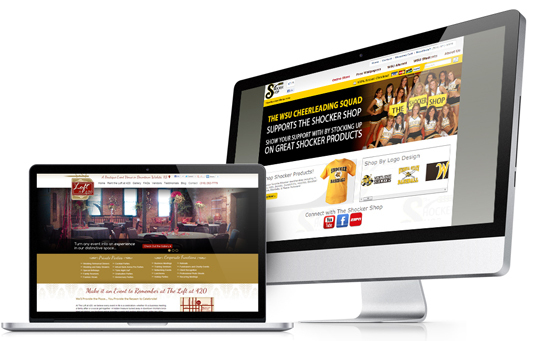 Stick with a Wichita website design firm that has the same passion. We’ve helped hundreds of businesses in dozens of industries do what they do best, only better: to spread the news of their great products and services and to keep their customers happy. Discover how our team of professional web designers, developers, writers, marketers, and business specialists can do more than give you a new website; we can give you new revenue streams, new customers, and new profits. Don’t get us wrong. Just because our main focus is business development doesn’t mean you’re going to get a cheesy website. Check out our impressive portfolio to see for yourself. 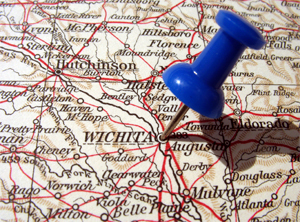 As Wichita’s website design leaders, we’ve created sites for professional speakers, schools, banks, franchises, online e-commerce stores, and other local businesses. We build each site for maximum ease of use and maximum relevancy to customers, complete with blogs, online stores, and compelling multimedia. Avoid many of the glitches you get from less experienced firms; stick with the pros at Prime Concepts Group in Wichita. But a successful local business requires more than a website. That’s why we design an integrated marketing strategy for your business, weaving your website, your social media efforts, your offline presence, and your business values into one cohesive plan to achieve your business’ goals. Brand & Identity Marketing: want to recreate your public image? We do that, too. Need a new design firm? Come see us today! Think your business could benefit from access to our team of business specialists? We’re located at 7570 West 21st Street North, Suite 1038A. Give us a call to schedule an appointment and discover the Prime Concepts difference. Swing by, have a cup of Joe and meet our Wichita website design team today!